Poppie was off her food – which was unusual. So we went to the vet for a check up only to discover she had a low red blood cell count. The norm for a dog is a PCV (packed cell volume) of between 35 and 50. Poppie was 27 and over the following week that continued to drop to around 20. This was serious – anything below 15 is seen as critical and anything under 12 requires a blood transfusion to keep her alive. Importantly we needed to find out why her red cell count was dropping. There were a multitude of possibilities so Poppie was admitted to the Massey Vet Hospital in Palmerston North and a barrage of tests was undertaken – all against the background of a continually dropping blood count. She had a bone marrow biopsy, among another things, which is a particularly invasive procedure. No one wanted to do it, but it turned out to be the only way to confirm what was going on in her little body. On a Thursday morning we got a call – her blood count was 11 and her body was starting to shut down. An immediate blood transfusion was needed. Her specialist (Dr Matt) didn’t think she had enough blood left to take a sample for blood matching so there was a risk any new blood could be rejected and she would slip into shock. No one had a good diagnosis if this happened. At 11am the transfusion began – 4 hours later she was finished – thankfully in one piece and with a blood count close to 40. Of course a transfusion is only a temporary measure as the transfused cells will die quickly. We would be in the same situation in a matter of days if we couldn’t find the reason her red blood cells were dying but, critically, we had bought Poppie some time. Ever since the first visit to our vet the suspicion was that Poppie had IMHA (Immune-mediated Hemolytic Anaemia) – where her own white blood cells become over zealous and not only attack cells that shouldn’t be in her body (the function of white cells in all of us) but also attack her own red cells, killing them. She had been put on a treatment regime of steroids and immune suppressant drugs when she was admitted to Massey that hopefully would suppress her white cells and allow her red cells to regenerate. But clearly this cocktail of drugs hadn’t worked – or hadn’t had enough time to work – hence the need for the transfusion. Dr Matt explained that this treatment would take time and in 25% of dogs it simply would not work. We were hopeful Poppie was in the other 75%. A few days after the transfusion she was home (because, as Matt explained, a place full of sick animals is a bad place for a dog with little or no immune system) and we became prime carers for the girl. Since that time we have seen Poppie’s blood count hover around the 38 – 40 mark. Her body has started to regenerate red blood cells and we have been able to reduce her steroid medication slightly. 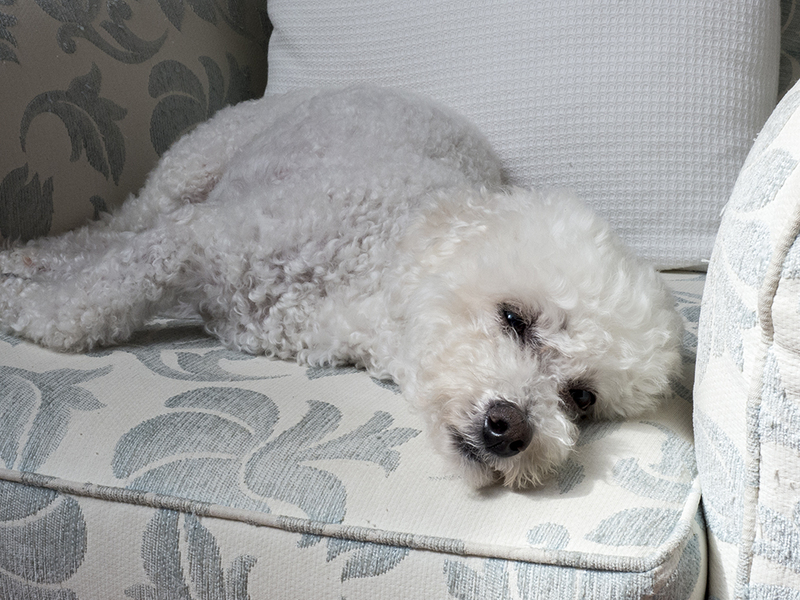 We have regular blood count checks – probably more than are needed – as every time Poppie looks like she’s feeling under the weather she’s off for another check. Time will show how much we can reduce her medication as the side effects of high doses of steroids aren’t great. Hopefully we can wean her off most of the pills as her body improves it’s ability to produce red blood cells and her immune system starts to settle down. Update: two steps forward and one step back – the reduction in steroid dose mentioned above has been reversed as her body wasn’t ready and the white cells were making their presence felt again. Dr Matt says we’ll try to reduce the dose again in a months time. In just under 2 months we head back to Italy for a holiday. This trip we were keen to visit Puglia – the heel of Italy’s boot – and see what this often overlooked province offered. In the end we will miss by a few kilometres and will be staying, instead, in Matera in the province of Basilicata. So not in the heel of the boot, more in the area between the sole and the heel. 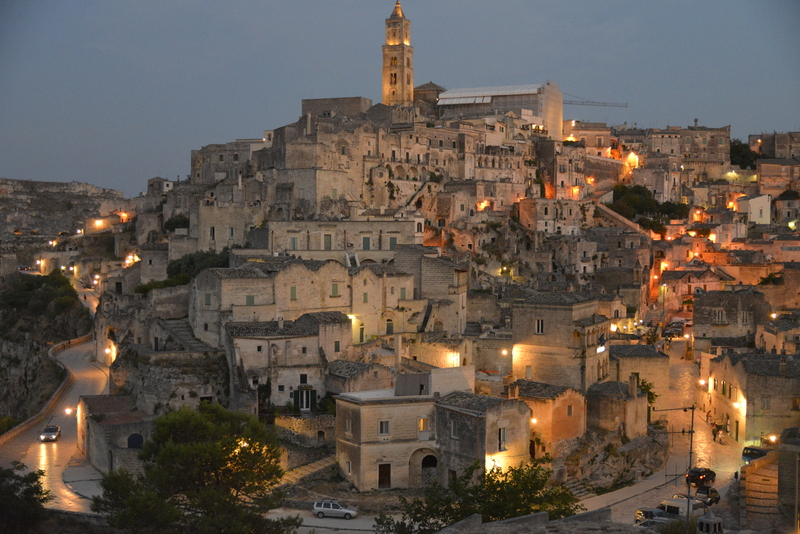 Matera is known as “la Città Sotterranea” (the Subterranean City) because historically many of the dwelling were effectively caves in the hillside. It is one of the longest continuously inhabited places on earth and a UNESCO World Heritage Park. 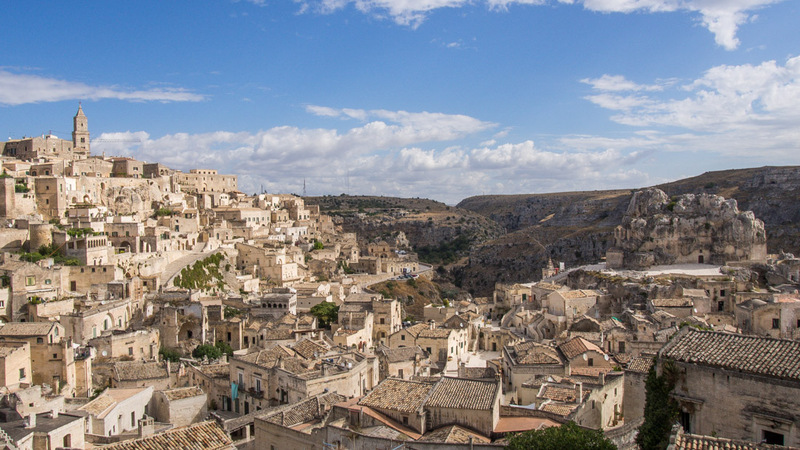 It is only recently that Matera has become a must-see for visitors to Italy and we will be staying 3 nights at Palazzo Gattini Luxury Hotel – breaking up a fortnight spent staying in Positano which is a two hour drive away on the coast. Our holiday is completed by a week in Chianti in a beautiful villa organised by our dear friend Olga, and a few days in Rome – a chance to reintroduce ourselves to this eternal city. We fly out of Wellington at the beginning of August. Watch the blog for holiday updates.